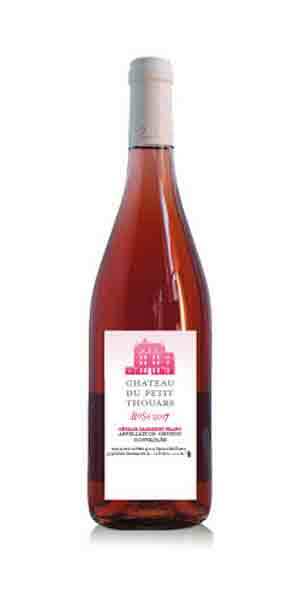 Chateau du Petit Thouars is a family run estate nestled in corridors of natural limestone caves in the Chinon appellation of the Loire Valley. The property was deeded to the family by Cardinal Richelieu in 1636 and vineyards that surround the farm house were planted in 1975. Today the 150 hectare estate is run by Sebastien du Petit Thouars (12th generation to dwell here since his ancestor George purchased the property in 1636) and his wife d’Arcy. Chateau du Petit Thouars is located in the commune of Saint-Germain-sur-Vienne, in the southwest part of the Chinon appellation, along the south bank of the Vienne River, immediately east of Saumur-Champigny. In contrast to the sandy soils that predominate further east in the appellation, the vineyards around Petit Thouars are clay-limestone dominant which gives the wines impressive potential for structure and complexity (much like those from Saumur-Champigny). Sebastien and d’Arcy have been working toward fully organic viticulture, having eschewed the use of non-organic treatments except as an ultimate last resort. This is a Cabernet Franc rose with lots of crunchy red fruit flavour and a a refreshingly dry palate.